We intent to start Live TV Broadcasts around the world. To make that possible, we will need your support towards the purchase of TV equipment, which may include and not limited to: Cameras, Computers, Mixers, Software, Licences, Masts, Signal Equipment, Controllers, among others. This is besides hiring a competent trained staff to man the television department. 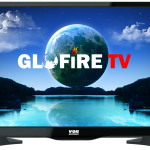 Currently, we have already setup the GLOFIRE.TV website, where we just publish the revelations and share videos. With your help, we look forward to starting live broadcasts both online and on Satellite Television around the world. We will be running testimonies, teachings, and programs aimed at instilling holiness among the believer with the aim of preparing the church for the rapture. You can assist through amount you will wish to bless us with. Your support for this cause will be very much appreciated. You can assist through amount you will wish to bless us with. Your support for this cause will be very much appreciated. I want us to reach the world we this end-to-end. You’re one of 17 people to sign this cause. Now help find 999,983 more people to reach the goal.